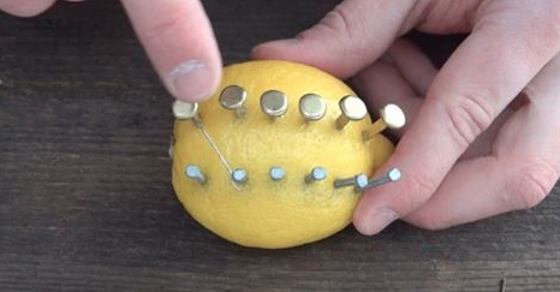 A video posted online Sunday by North Survival shows an individual demonstrate how to make fire with a lemon. “This is an awesome survival tip that you don´t want to miss,” he said. Using six copper clips, six nails, a piece of wire and steel wool, the person harnessed the electricity from the lemon to heat steel wool up enough to create a small fire.